4k00:27Village in a valley among mountain forests. 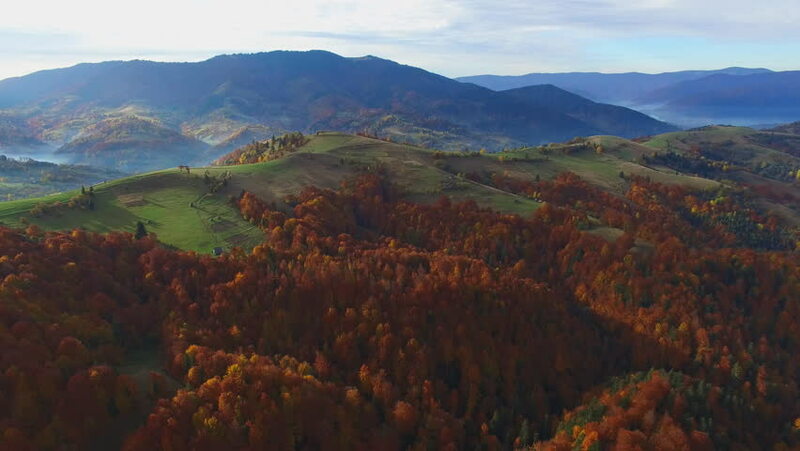 Flying over beautiful mixed forest in Carpathian mountains in autumn at sunset. Aerial view. Carpathian mountains range in the background. Vibrant colors.